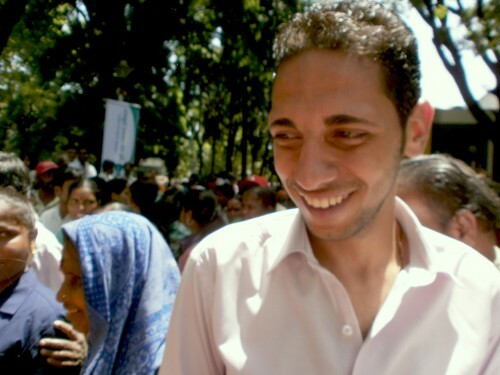 Michael Hanna Shukri, 23, is a union organizer with the waste pickers — or Zabaleen — of Cairo, Egypt. He is also on the board of an NGO called Spirit of the Youth, which works with waste pickers and pushed to start the union. Michael also works as a waste picker. In the early morning, he and his brothers collect household and commercial waste with his family’s truck. They collect from about 600 apartments and 40 commercial stores. He later goes to work at Spirit of the Youth or in the union. After the Egyptian revolution the Human Resources Ministry changed the laws and the Zabaleen were able to legally form the union. In the city’s metropolitan area, there are nearly half a million waste pickers. Three thousand have joined the union since it was formed in 2012. The union issues ID cards and provides health insurance and a pension. Each member pays a US $2 union subscription a month. One of the major challenges the Zabaleen of Cairo are currently facing is the privatization of waste management. In 2004, the government gave contracts to multinational corporations. There are now two companies – the Spanish FCC and the Egyptian-Italian, AmaArab – that have taken over the city’s solid waste management. These corporations pay subcontractors to do the collection work. But Michael says it’s the Zabaleen that go door-to-door and collect the waste for these subcontractors.